The country’s top 14 law schools—including Harvard Law School—will now require firms that recruit on campus to reveal whether they require summer associates to sign mandatory arbitration agreements or non-disclosure agreements that may bar associates from going public with allegations of workplace misconduct. Mandatory arbitration agreements require employees to resolve workplace disputes with employers through an arbitration process, rather than through the courts. Non-disclosure agreements require employees to keep information relating to the firm confidential—including reports of sexual harassment or discrimination. Amid the #MeToo movement—which has brought national attention to the problem of workplace harassment and implicated powerful men across industries—some law firms have recently begun requiring summer associates to sign such agreements. 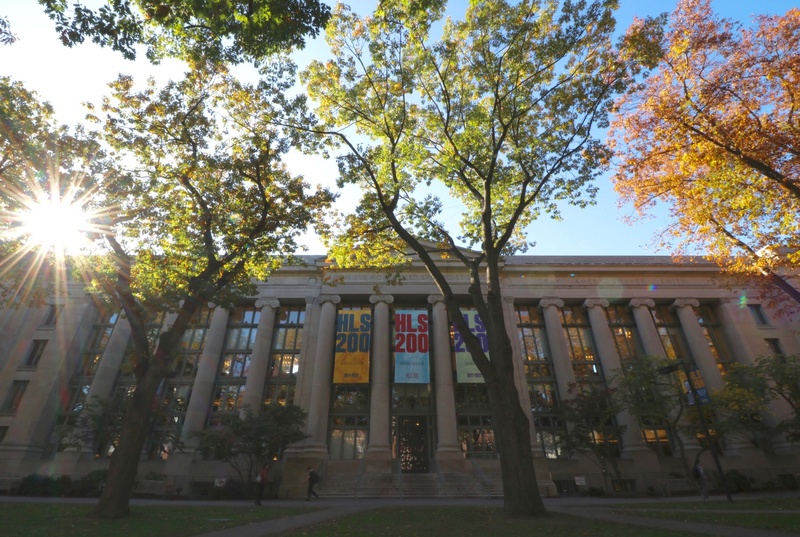 Students at Harvard and other schools have raised concerns in recent months that the agreements will cover up harassment and discrimination. Yale Law School, one of the 14 schools involved, announced the law schools’ pact to compel firms to disclose this practice in a press release Monday. The release states that the law schools will send a survey to each employer who recruits summer associates at the T14 law schools—the 14 schools consistently at the top of the U.S. News & World Report law school rankings—in order to determine whether they require their employees to sign workplace harassment-related agreements. The open letter called for the Office of Career Services to require employers who recruit on campus to remove the mandatory arbitration and non-disclosure agreements from their contracts. In addition, the group of students requested the Law School to create and distribute “an anonymous workplace climate survey” for students who return from summer employment. Sejal Singh, a first-year Law School student and one of the organizers of the open letter, said she is “confident” that this survey will lead firms to remove the agreements in question rather than disclose them to the participating schools. Singh also stated that while the Office of Career Services at Yale Law School is taking charge of this initiative, that office plans to work closely with other T14 law schools to ensure employers on each campus are given the survey without overlap. “We’re hoping that this will streamline the process and make sure there’s a minimal administrative burden but we’re also getting the detail that we need for students to make an informed choice of where to work,” Singh said. Molly M. E. Coleman, another Law student and organizer of the letter, said she and other organizers met regularly with Assistant Dean for Career Services Mark A. Weber over the course of the semester, and she praised his attention to the issue. “We have been meeting regularly with Mark Weber, we’ve been in communication with him and he’s just been extremely helpful and extremely responsive on this,” Coleman said. In an emailed statement Tuesday, Weber lauded student leaders and wrote that about 50 schools have signed on to the survey to date.